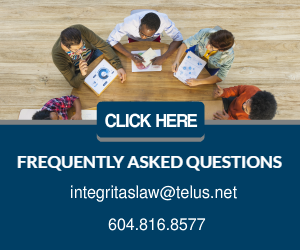 In December 2017, the Supreme Court of Canada issued a landmark decision, British Columbia Human Rights Tribunal v. Schrenk, 2017 SCC 62, which expands the scope of workplace human rights protection. The Schrenk case involved a human rights complaint made by Mr. Mohammadreza Sheikhzadeh-Mashgoul, a civil engineer working for Omega and Associates Engineering Ltd. (the “Complainant”), claiming that he had been harassed by a site supervisor while working on a road improvement project. The alleged harasser, Schrenk, worked for Clemas Contracting Ltd. (“Clemas”), the primary construction contractor on the project. making insinuations about the Complainant’s sexual orientation. After Mr. Sheikhzadeh-Mashgoul complained about Schrenk to Clemas, Clemas eventually removed Schrenk from the site and terminated his employment. Even though Mr. Clemas was not the Complainant’s employer, and the two men were not co-workers, the Complainant filed a complaint with the BC Human Rights Tribunal (the “Tribunal”) against Mr. Schrenk as well as Clemas alleging discrimination based on religion, place of origin, and sexual orientation. Schrenk and Clemas argued that the Tribunal did not have jurisdiction to hear the complaint because the Complainant did not have an employment relationship with either of them. The Tribunal rejected the argument of Schrenk and Clemas and claimed jurisdiction on the basis that any discrimination suffered “regarding employment” could attract the protection of the BC Human Rights Code (the “Code”). The Tribunal further noted that it would be unduly artificial and not in keeping with the purposes of the Code to exclude employees from its protection simply because the alleged perpetrator of the discriminatory behaviour worked for a different employer at a shared worksite. Schrenk sought judicial review of the Tribunal’s decision and the BC Supreme Court dismissed the petition. Schrenk then appealed to the BC Court of Appeal. The BC Court of Appeal unanimously allowed Mr. Schrenk’s appeal and held that the Tribunal did not have jurisdiction to address the complaint. The Court of Appeal stated that the Code only seeks to address situations where persons are forced by others who occupy positions of power to suffer insult or abuse as a term or condition of employment. Accordingly, the proper question to be asked was whether Mr. Schrenk, the site foreman, stood in such a relationship to the Complainant. Because the answer was “no”, the Tribunal did not have jurisdiction to hear the complaint. The Tribunal then appealed the BC Court of Appeal’s decision to the Supreme Court of Canada. The issue before the Supreme Court of Canada was whether discrimination regarding employment can be perpetrated by someone other than the complainant’s employer, or superior in the workplace. The Court held that this would include discrimination by co-workers, including where the co-workers have different employers. Based on this purposeful approach, the Supreme Court allowed the appeal and held that the Tribunal had jurisdiction over the complaint. The Schrenk decision shows that the Code provides a right to a workplace free of discrimination and that the scope of the Code is not limited to only protecting certain workplace relationships. Discrimination can occur even where the party engaging in the alleged discriminatory conduct is: (i) someone who works for another employer; (ii) has no power or control over the complainant; and (iii) has no authority to force the complainant to endure the discrimination as a condition of his or her employment. Section 13(1)(b) of the Code does not restrict who can perpetrate discrimination, it defines who can suffer employment discrimination. If the discriminatory conduct that targets employees has a sufficient nexus to the employment context, then it is prohibited. Whether there is a sufficient nexus between the alleged discrimination and the employment context must be determined by looking at the specific facts of each case. This decision has extended the scope of workplace human rights and employers need to be mindful of the implications, particularly in shared worksites. The decision could also result in contractors being held to be personally liable for discrimination.